'Thank You' rubber stamp personalised with your choice of names & date. 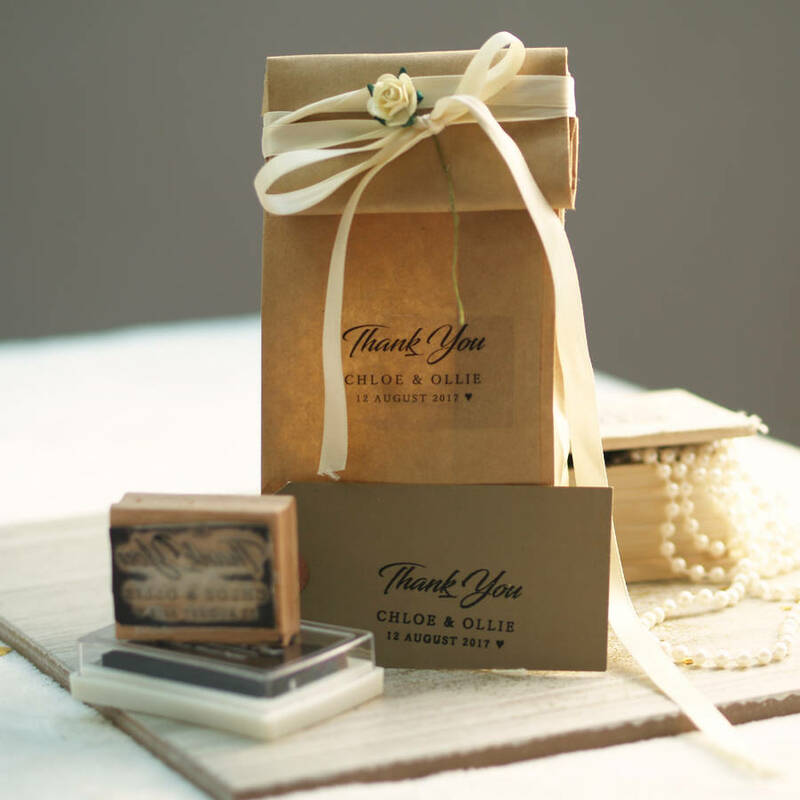 Handmade wedding favour rubber stamp with your choice of names and date. Please ensure that all spelling and grammar is correct as required. The stamp will be made to order within one week and will be sent via Royal Mail first class. The resin is hand-cut and mounted onto a wooden block. Works with any ink pad which you can also add from the drop down menus (optional). 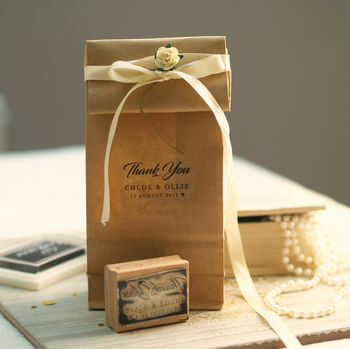 The size of the brown manila tags is 10cm x 5cm, available to add to your order from the drop down menu. The dye is cut around the artwork so may not have straight edges. Also the block maybe bigger than the artwork.